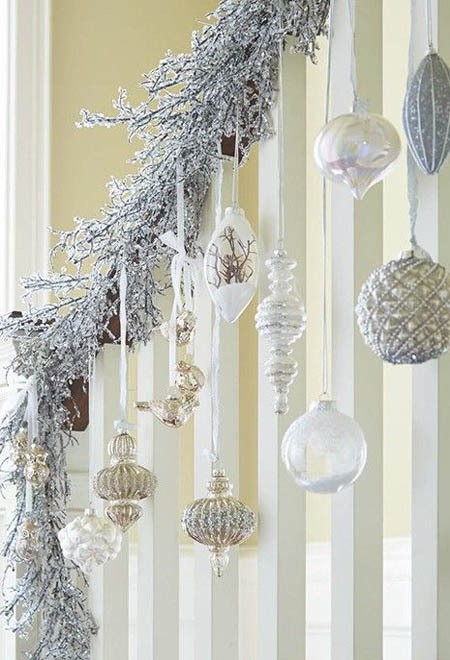 The fluidity of this artistry between ornaments and figures will take the breaths of your guests almost all the time. 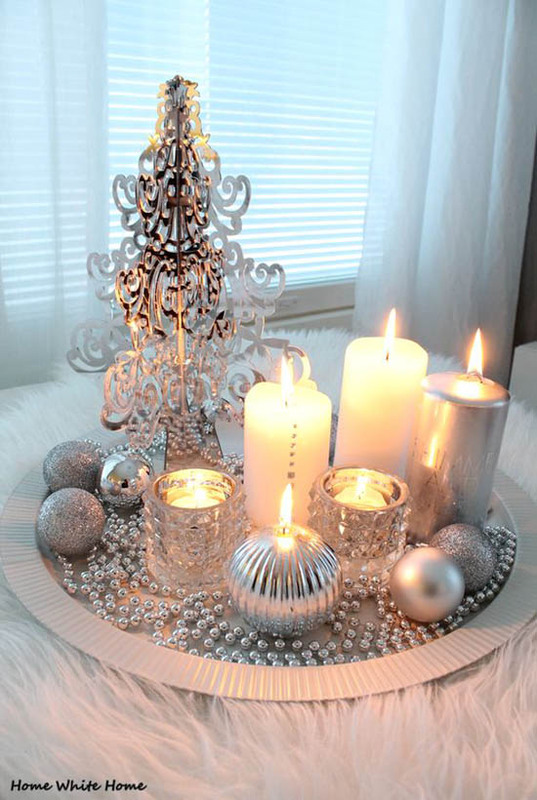 Dressing up the interior of your house for that much awaited dinner party has never looked this flashy with all the silver and white ornaments and decors. 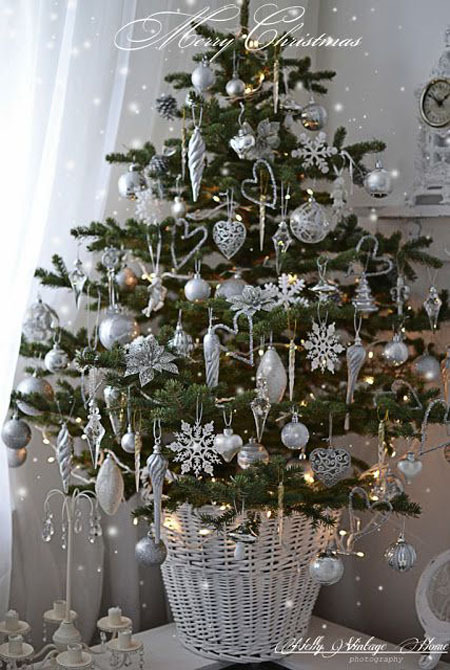 With the illusion of snow falling all over the branches, this tree looks realistic enough, but with the addition of silver ornaments, laces and ribbons, it becomes one of the most magical things you see in a home. 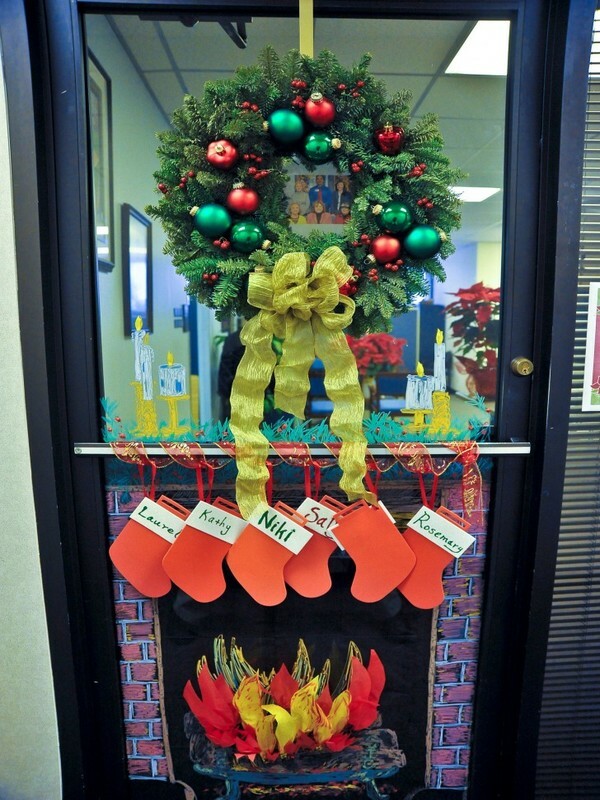 Doesn’t a sight like this make you want to break into singing Christmas carols all of a sudden? 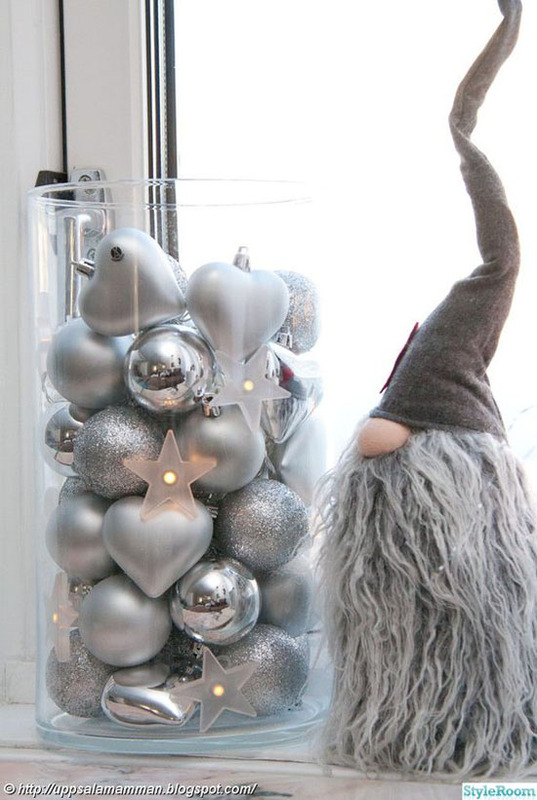 Silver does that to people during the holidays. 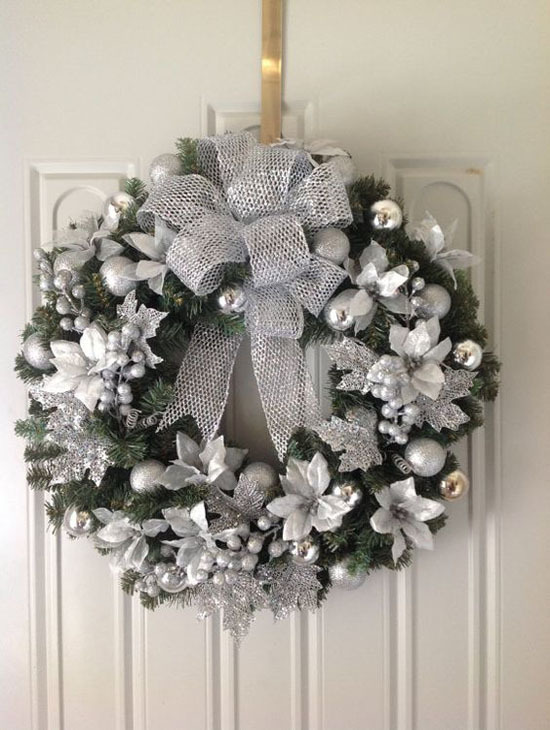 The silver treatment for this traditional front door decoration is so soothing to the eyes and the soul, you want to keep wishing Christmas can last one entire year. 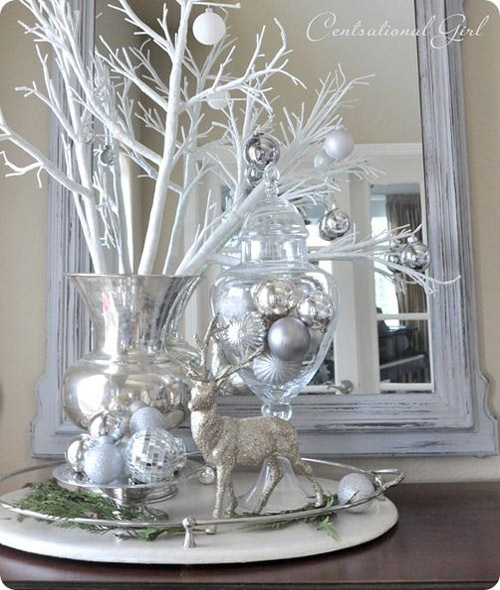 Putting a silver treatment on an old decor would remake it into something extravagant. 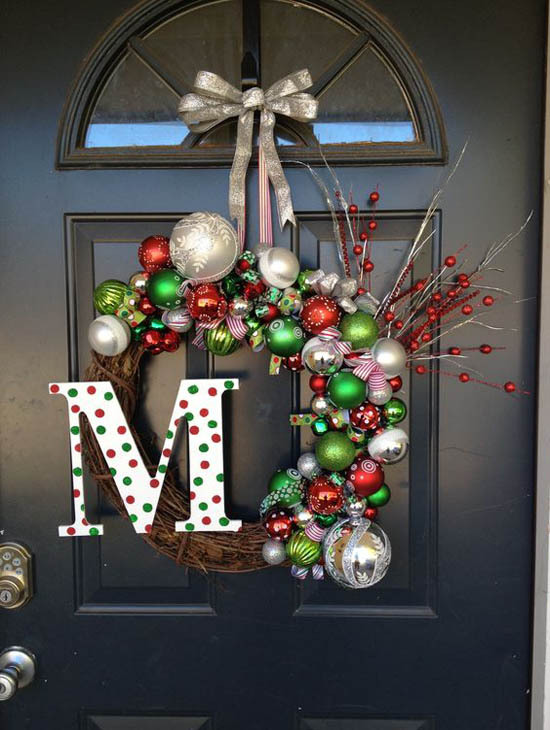 Plus the color goes well with whatever theme you choose for the next Christmas season. 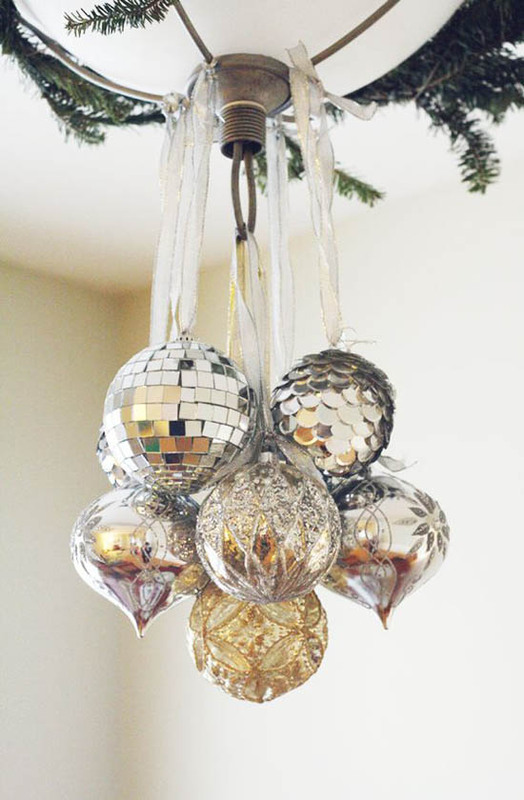 Put into good use once again those old silver and gold ornaments and let them shine as one this season as a crafted Christmas tree. 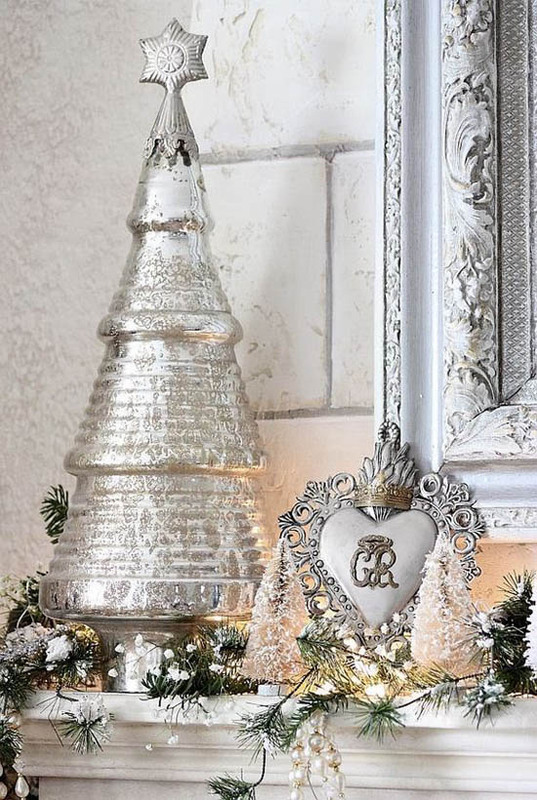 Just as the name suggests, one look from this silver ensemble of Christmas ornaments and candlesticks, and your soul will be calmed to the very core. 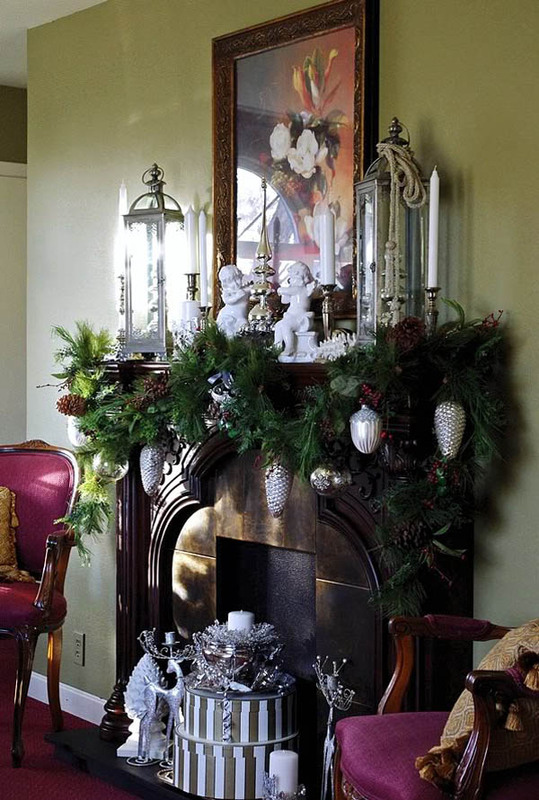 A mantel design concept of silver ornaments, candlesticks and a flickering yellow fairy lights somehow purifies the explosion of Christmas colors all over the house. 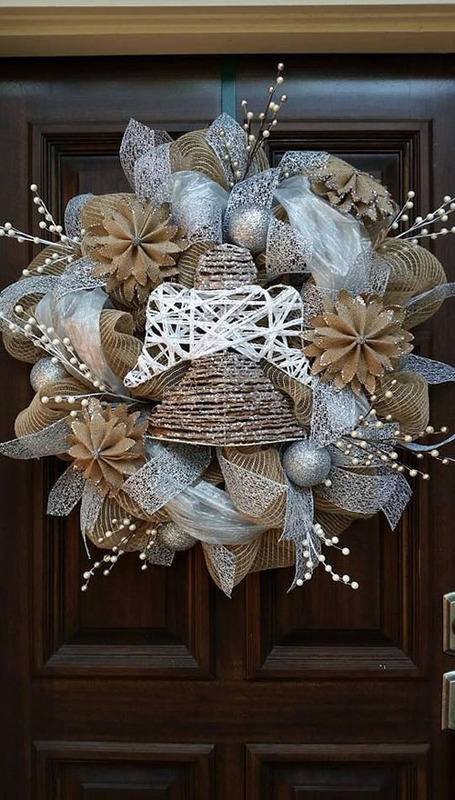 One of the best ways to share your blessings this Christmas season is by putting angels on your decoration projects such as this one that goes well with the silver and gold burlap wreath. It doesn’t get as simple as this one. 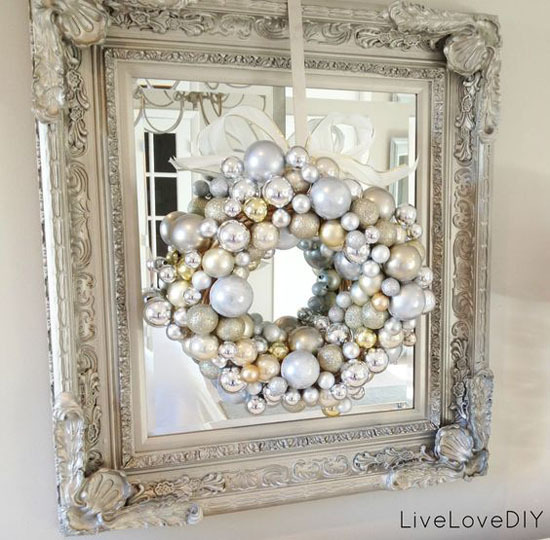 A silver decoration that is reflective of your creative personality. 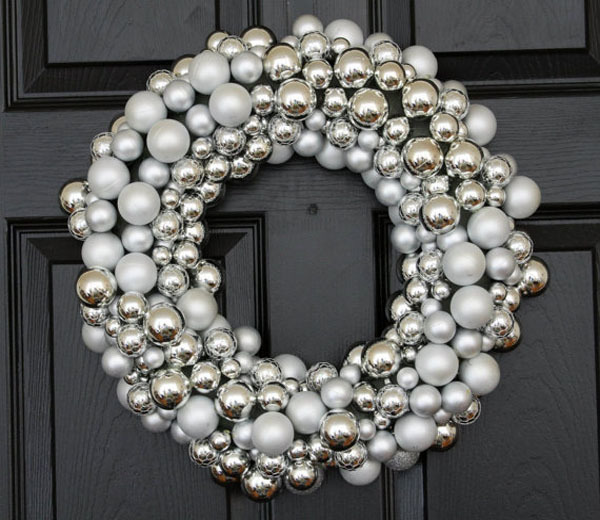 Almost as magical as any wand, the charm of this silver ornaments wreath is just too powerful to ignore, as its sparkles and gleam while sitting at your front door. 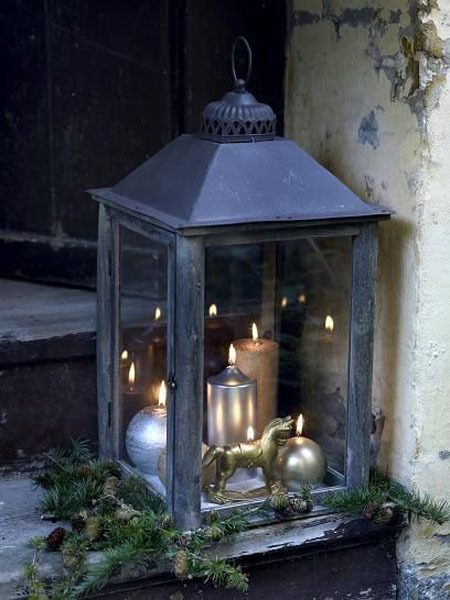 Add some mysterious gleam to this country-style lantern by putting is some silver ornaments and silver candles of different shapes and sizes. 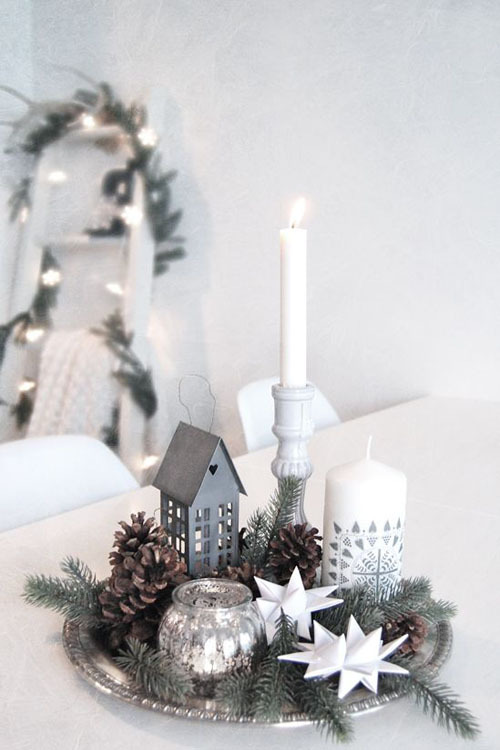 Decorating tabletops for the season is as a serious business as cooking dinner for that perfect Christmas gathering itself. 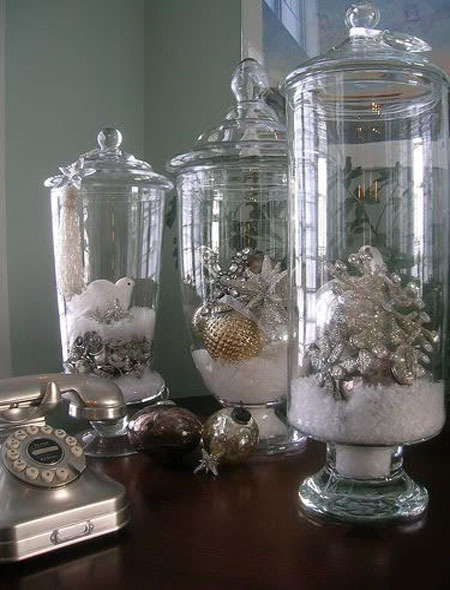 Using silver ornaments and figures to fill elegant jars is the best fit for this job. 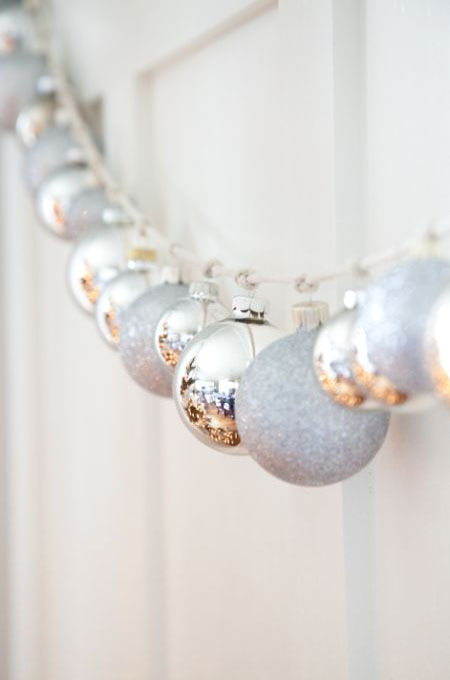 Looking at this silver ball ornaments hanging on the mantel side by side will ring a Christmas tune at the back of your head all of a sudden. 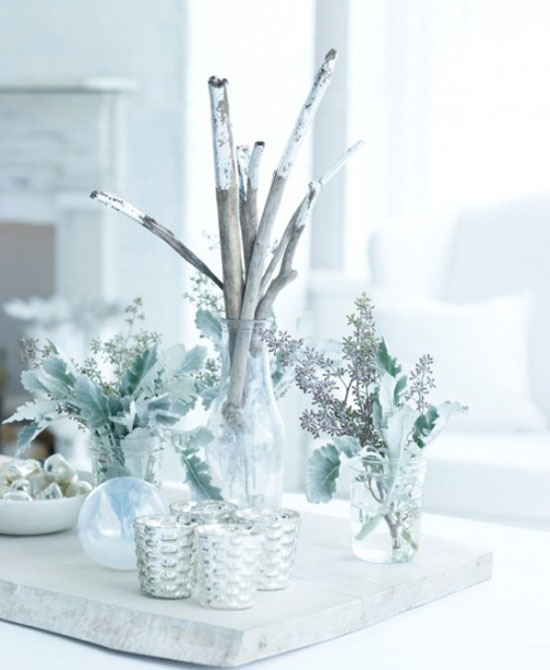 Give your rustic decors a silver treatment to breath in new life and new character for this year’s yuletide season. 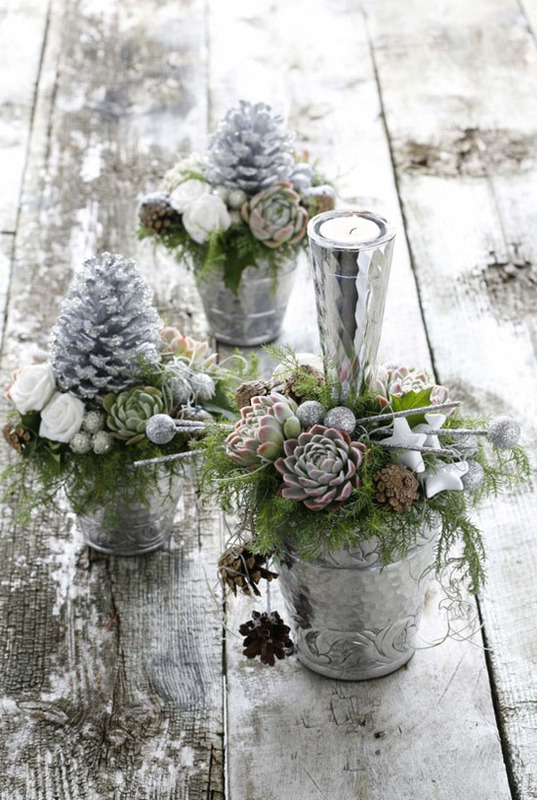 These silver pot decors will make a dreamier atmosphere. A beauty with such mesmerizing glow can only be achieved by adding silver ornaments and figurines to an already charming luminary. 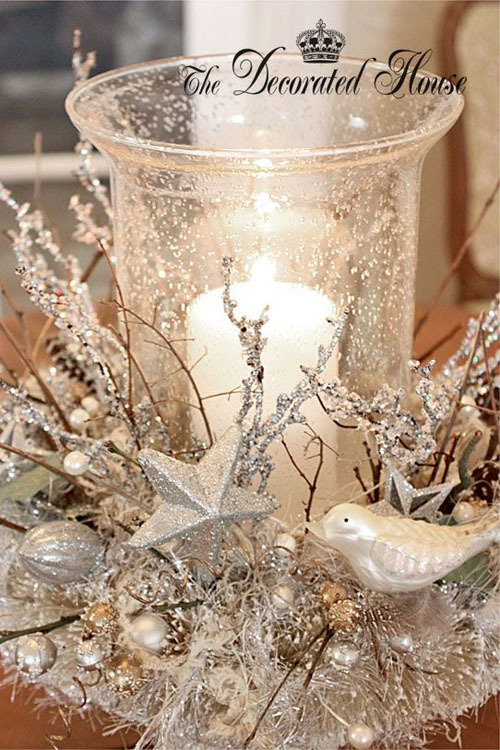 This is one tabletop decor that actually tells a story to guests throwing side glances to it. All thanks to that silver gleam. 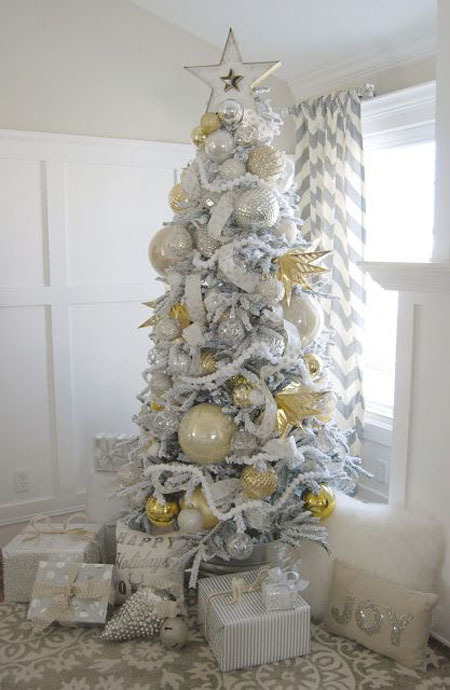 Let the sunshine do its magic as it kisses this tree filled with ornaments of gold and silver. Your mornings will sure light up after one look at this beauty. It doesn’t hurt to add one more Christmas tree right? 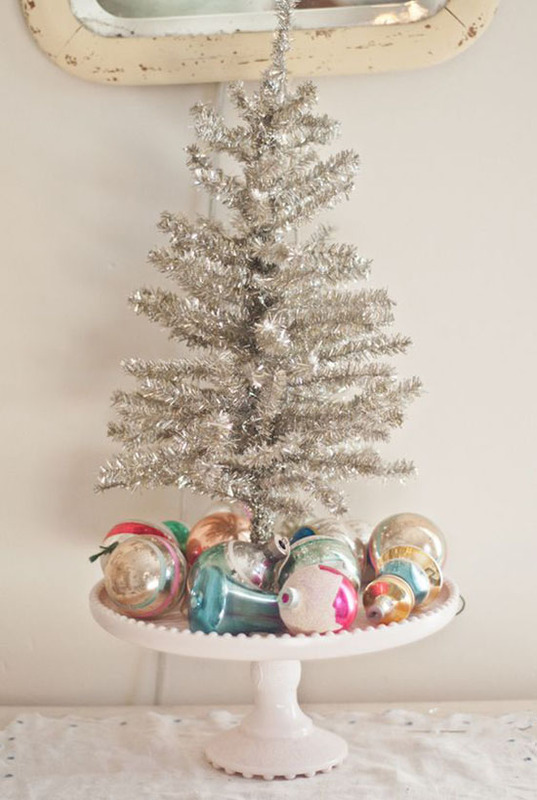 This tree that is not too small but not that, big sparkles merrily with all the different silver ornaments hanging on its branches. Because of the rare appearance of our pointy-hat friend, this design concept is confused whether it be put as a centrepiece, or at the mantel or outside with the other garden decors. Either way, the silver is just working wonders to the eyes. It looks like a fine piece of art as it sits silently in the window. 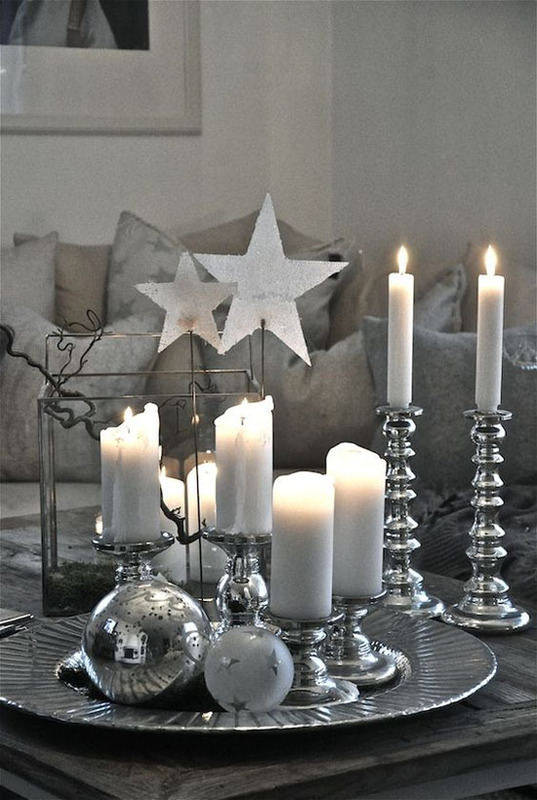 With a silver touch under its belt, you can be sure the dinner party will be the best one yet. 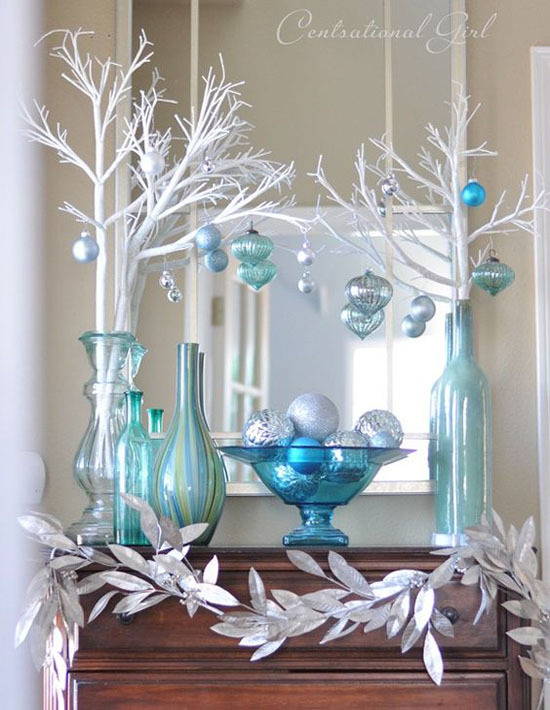 For those who want to bring a piece of nature and winter inside the house, this is project of branches, leaves and sprigs will do the job perfectly fine. 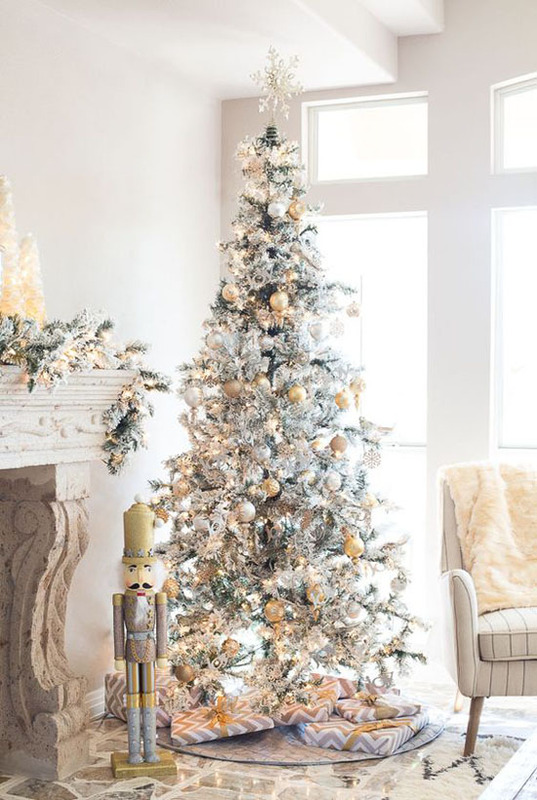 The metallic tree looks very futuristic but still has that classy air about it since the touch of silver magic is all over it. 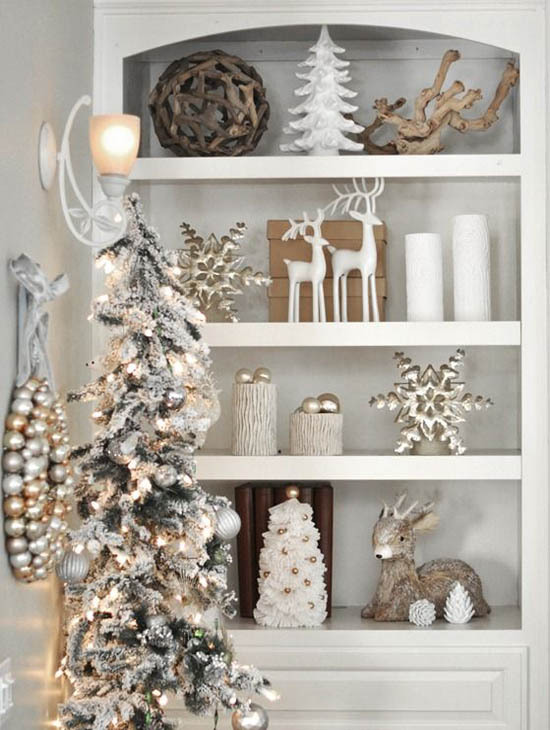 Since it is the Christmas season, display properly on a bookshelf your different Christmas decors and figures you’ve collected as the years passed. It’ll bring back memories and usher in a whole bunch of new ones. 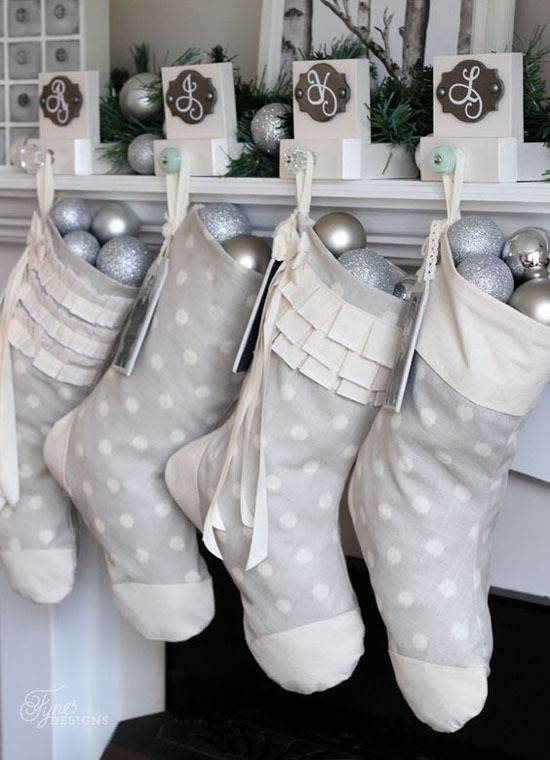 This is one special way to keep the warmth indoors. 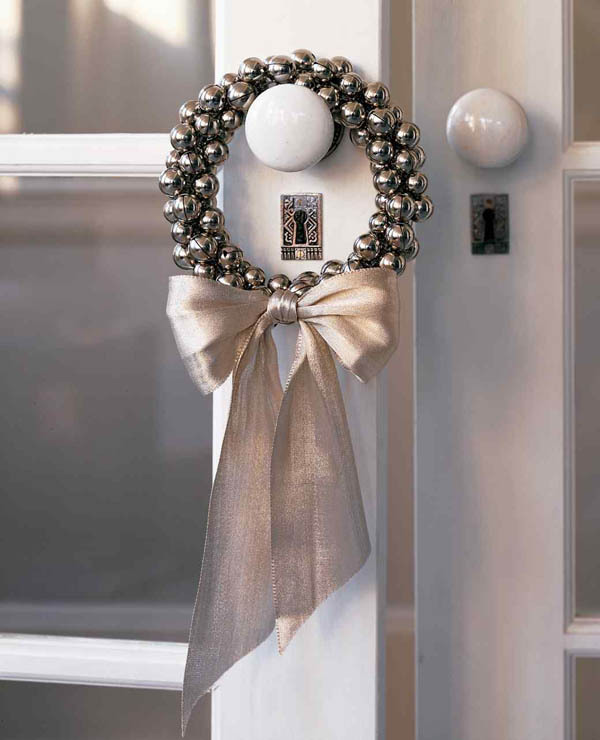 Silver bells clustering together with a satin brown ribbon makes one Christmas gathering a night to remember. 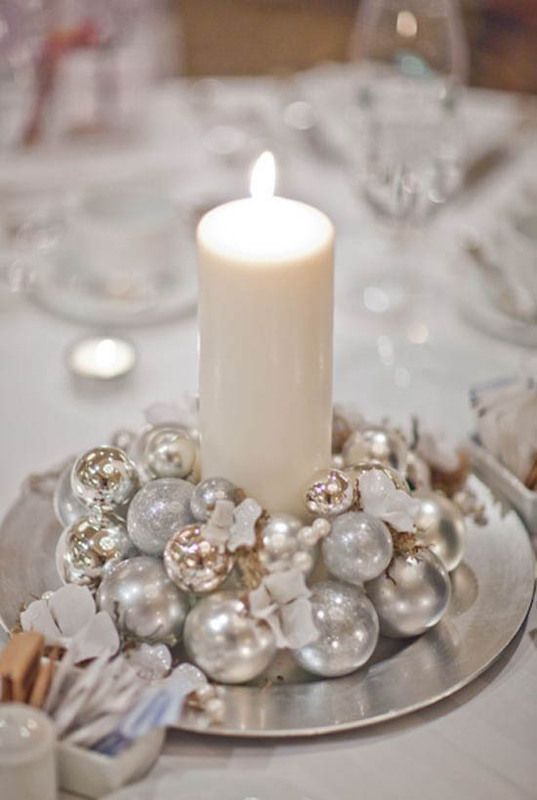 Make your Christmas feel more intimate and simply special with a centrepiece of just a plain white candle and silver Christmas balls that shines a captivating light to family and friends. 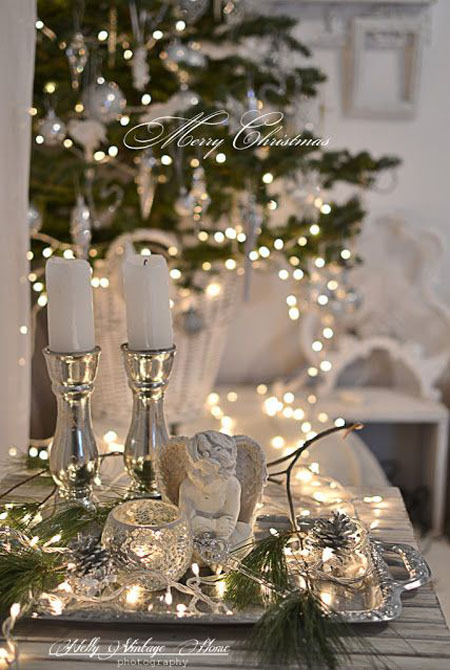 Truly a royal sight to behold with all those silver ornaments illuminated by candles and luminaries that bring out a more calming atmosphere. 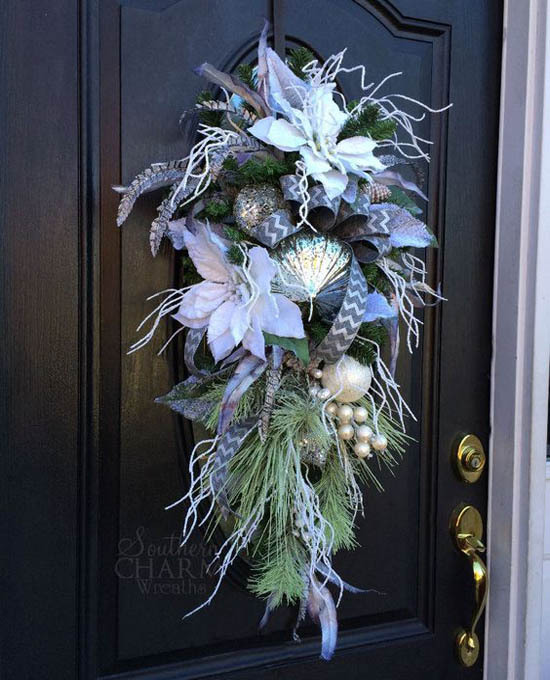 This front door decoration may be exploding with the rustic angle, but the silver and white treatment to it using ornaments of different sizes somehow tames it and makes it look grander. 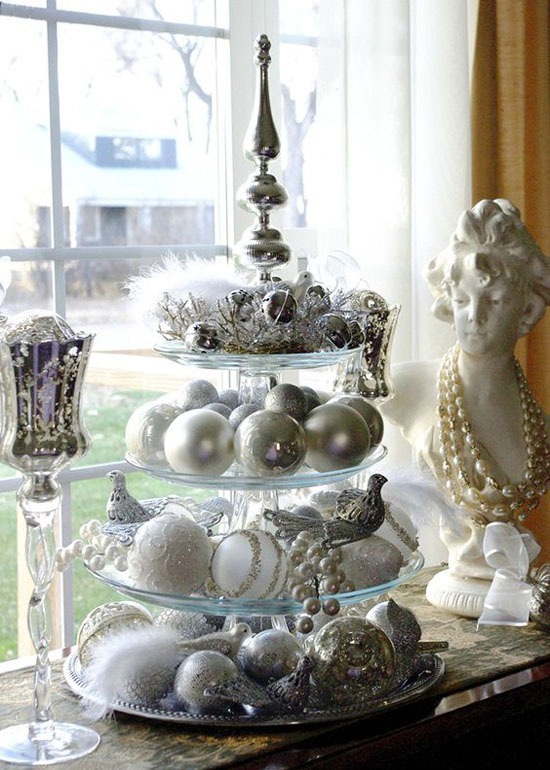 A very traditional presentation of the Christmas decorating, but the treatment of silver and white among the green is amazingly charming. 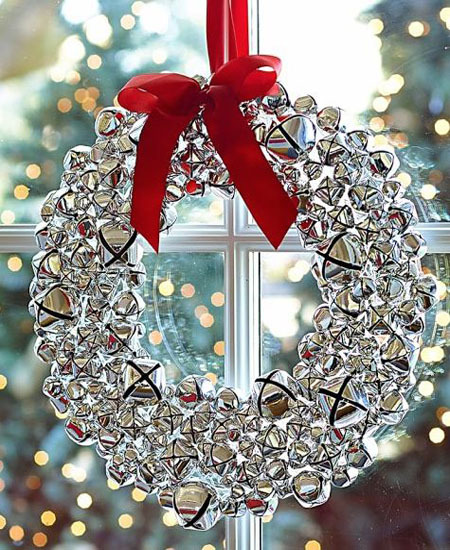 The silver shine of the ornaments feels very light to the eyes yet still captivating so much that you start feeling the “merry” in the merry Christmas greeting. 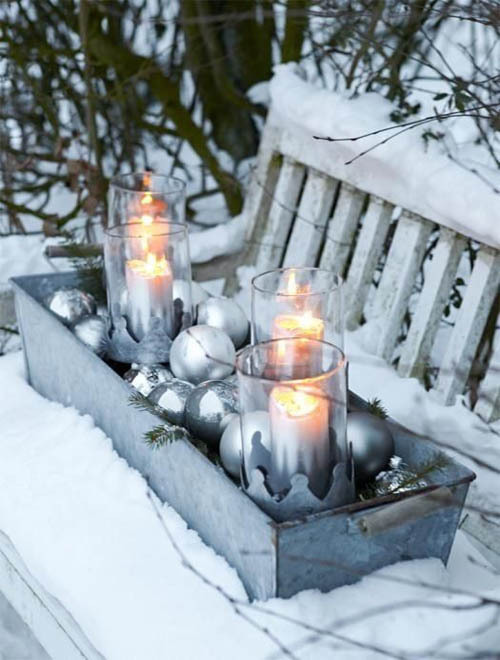 Light the way of your guests for that special dinner with these soothing and elegant luminaries dotted with silver ornaments that bring more gleam to their light. The varying lengths of the white ribbons holding the different types of silver ornaments gives this plain chandelier a more lively atmosphere. Replicating this beauty will be a breeze because with just one look at it and you somehow remember everything that is nice about it. 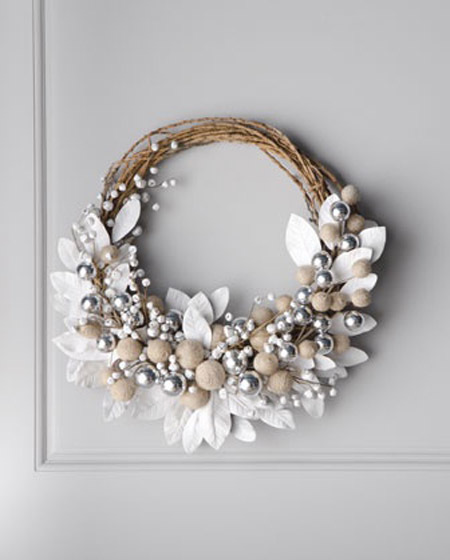 From the branch base, to the faux flowers and berries, to the silver ornaments, everything is just in the right spot for a merry Christmas celebration.